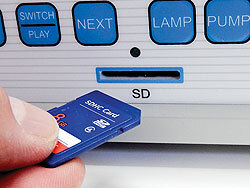 Now you can capture image stills and video sequences right from the HVP-2100 to a standard SD card (any brand). * Video capabilities requires purchase of the VET-H1CCD camera head & coupler (sold separately) - for Olympus® fiberoptic endoscopes, an eyepiece adapter is needed to connect the VET-H1CCD to the endoscope ocular (SKU#: WA-01 - sold separately). † Olympus® or other brand endoscopes that use the same type of light source connector. 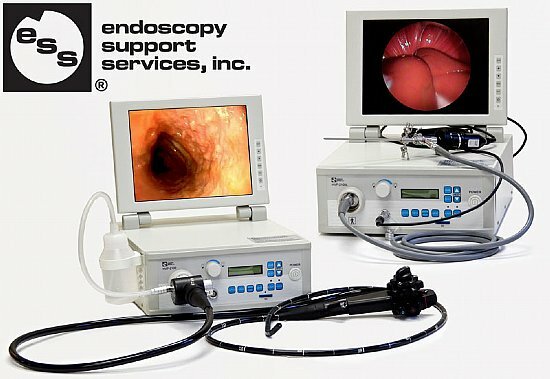 The WA-01 is for OES Olympus® endoscopes ONLY. Please call ESS if you have a pre-OES endoscope for availability of adapters.